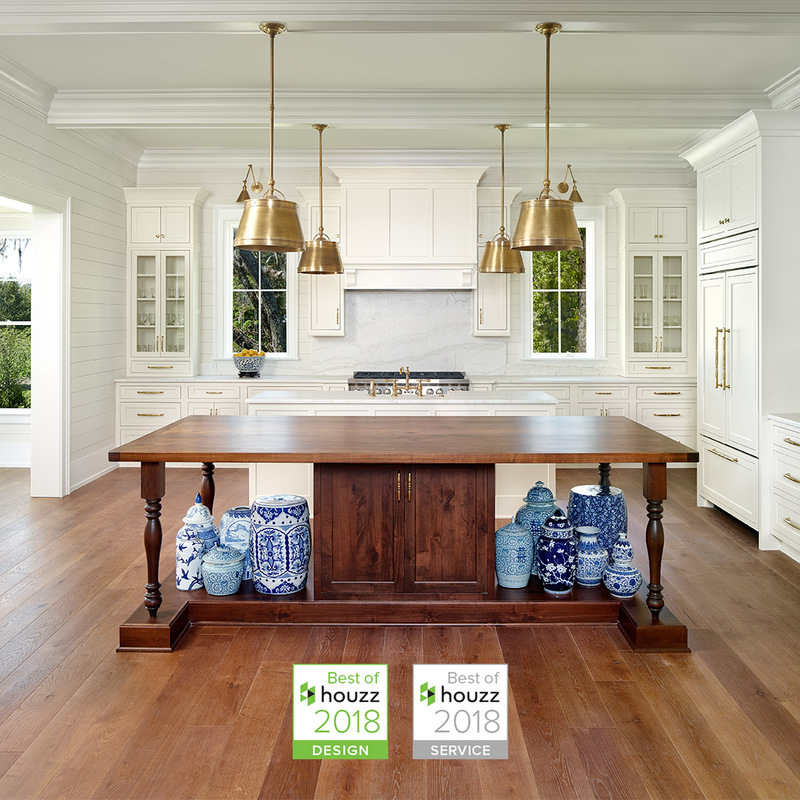 Reclaimed DesignWorks received The Best of Houzz in Style & Design for 2018! We’re both humbled and honored to receive this award once again this year, and wanted to share a few of our favorite projects that are also showcased on our Houzz account. In collaboration with Jodi Foster Design + Planning, we were able to transform this basement space for a family of four who wanted a functional, yet fun place to hang out. Our reclaimed barn board provides a warm contrast within this space, pairing with our box car planks which were used as both shelving and stair treads. This project takes barn board to a whole new level - and we absolutely love the final result. This guest house incorporates our weathered gray barn board in both the kitchen and entertainment space. Not only are the cabinets cladded with our wood, but a secret entry seamlessly ties the whole kitchen together. Just across the way you’ll find a feature wall which accents the look of the kitchen, and adds some texture to the lounging area. A final favorite that we have to share is this rustic man cave complete with our Antique Historic Plank flooring all throughout the space. This specific floor is a customer favorite - and there’s no surprise why! It’s beautiful character marks and variation in color make it a great floor for entertaining guests. Just imagine the whole crew in a space like this for the super bowl. Now that sounds like a party! Make sure to follow RDW on all of our social media channels if you’re not already! It’s the quickest way to stay in the loop about new products, and can easily brighten your day with some project inspo!